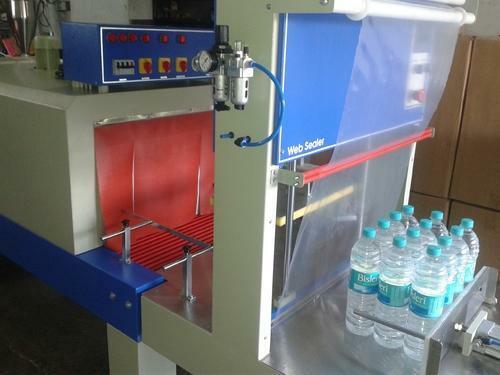 With our immense domain expertise, we are involved in offering Automatic Shrink Wrapping Machine. Offered machine is designed and fabricated by our professionals using supreme class component under the visionary guidance of skilled professionals at par with international standards. Annual Turnover2010-11 Upto Rs. 50 Lakh. Established in the year 2011 at Rajkot, Gujarat, India, we, Pack Maker Packaging Solution, are among the prominent manufacturers, suppliers and traders of best quality Packaging Machinery. Our effective product range is inclusive of Shrink Wrapping Machines, Vacuum Packing Machines and Sealing Machines. Their compact design, rigid construction, user-friendly operation, high tensile strength, low power consumption, corrosion resistance and long service life makes these packaging machines highly demanded in the market. Offered packaging machines are manufactured from quality assured materials that are sourced from trusted and reliable vendors. Prompt delivery coupled with our ability to meet the bulk orders has helped us in catering to the precise needs of our esteemed customers. We follow various customer centric approaches while interacting with our customers to precisely understand their needs and requirements. As per the specifications provided by the customers, the offered range can be customized. For the purpose of packaging various products, the offered machines are used in various packaging industries.